There are many vitamin C health benefits and some excellent natural vitamin C food sources. And that’s very good news for us human beings. This is because although most animals can internally manufacture their own vitamin C, we human beings, along with bats, fish and guinea pigs, have to get ours from a natural vitamin C food source or vitamin C supplements. It's vitally important that we do get plenty of natural vitamin C (with bioflavonoids) in our diets. 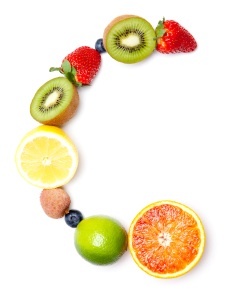 Besides protecting you from scurvy, which can kill you fast, vitamin C helps produce collagen. Collagen works like super-glue to keep all the cells in your body where they belong. Plus, if you get wounded or break a bone, collagen comes to the rescue to help mend and heal. Fortunately, C is abundant in most raw high fiber fruits and vegetables. We all know that a great vitamin C food source is citrus fruit. But there are many other high fiber foods sources on the fruits list including: lemons, limes, oranges, grapefruits, kiwifruit, papayas, cantaloupe, raspberries, watermelon, tomatoes, pineapples and strawberries. Good natural vitamin C sources from the vegetables list include: spinach, kale, broccoli, cauliflower, peppers, celery, peas, romaine lettuce, carrots, mustard greens, turnip greens, collard greens, onions, corn, yams, sweet potatoes, chard, cabbage, parsley and asparagus. Although fruits and vegetables are the best vitamin C food sources, some high protein meats also contain small amounts. These include oysters and organ meats like liver and heart. 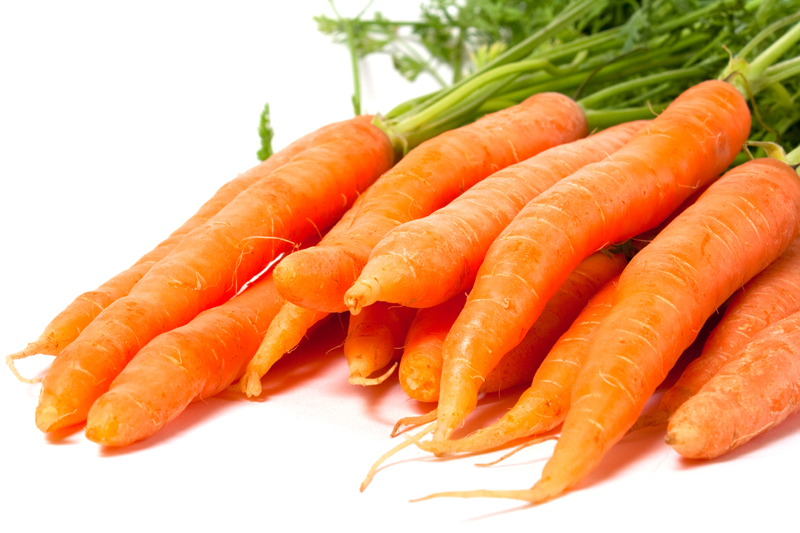 Even though vitamin C is naturally abundant in fruits and vegetables, it's a delicate nutrient. Broiling, grilling, frying, boiling and lengthy storage can all easily destroy the vitamin C in food. However, lightly steaming minimizes the loss. And since chilled and frozen fruits and vegetables retain their C, it's best to keep all produce refrigerated or frozen until you're ready to eat it. Besides helping you to avoid diabetes, heart disease, cancer, joint pain and to lower cholesterol naturally, vitamin C also helps you to boost immune system health. This greatly contributes to a lower susceptibility to colds, viruses, flu, infections and many other illnesses and diseases. The recommendations for vitamin C vary widely. For example, the National Academy of Sciences says the lowest minimum recommended daily allowances (RDA) for vitamin C should be: men 90 mgs, women 75 mgs and pregnant and lactating women up to 120 mgs. Whereas many other health authorities believe the Optimum Daily Allowance (ODA) should be 250 to as high as 3,000 mgs a day. How do you know you're getting enough C (ascorbic acid) from food and supplements? The most common symptoms of a vitamin C deficiency include bleeding gums, nosebleeds, anemia, tendency to bruising, low resistance to infections and slow healing of wounds. Now that you know all of the vitamin C health benefits and natural vitamin C food sources, make sure you’re getting as much as you need from your diet and nutritional supplements. And, if you take supplements, always be sure they include a natural bioflavenoid complex along with the C.
©Copyright by Moss Greene. All Rights Reserved.